How Will We React to the Pope? Coming to one of the most individualistic cultures in the world that is accustomed to exploiting the earth for selfish gain and systemically expanding the gap between the poor and the rich, he will be subject to criticism. If, while visiting prisoners, he also addresses our incarceration rate being many times higher than any other country, and that Blacks are imprisoned more than four times the rate of Whites, he will likely be criticized for being political. Yet his concern for “our common home” lies at the heart of the Judeo-Christian tradition. His active concern for social and economic equity is a fundamental tenant in all faith traditions. Visiting prisoners–like feeding the hungry, welcoming the immigrant, and seeking justice for all–reflects the essence of Hebrew and Christian scripture, the Qur’an, the Bhagavad Gita, the Upanishads, and holy texts in all faiths. 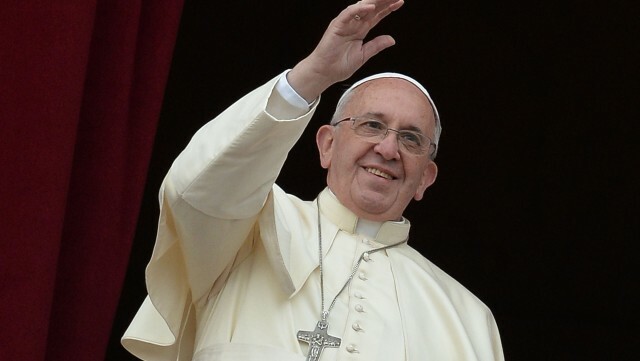 I will be praying for the safety and strength of Pope Francis, and for the millions listening to his messages. I pray that we will listen from our hearts and connect with the heart of our creator and sustainer. His messages will be countercultural and thus controversial. But if we are grounded in divine love, we may become better stewards of our Earth home and better drum majors for justice. It could be the best thing that has happened to our country and tp us in some time.